I made this Valentine's Day card tonight, either for my mom or my grandmother. 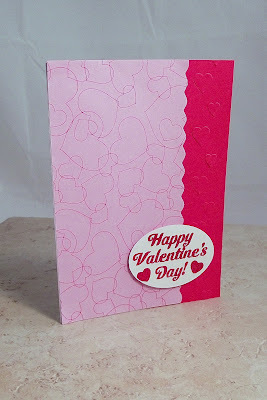 The lettering is stamped and embossed with glitter, and the red part is embossed using my Creatopia. My apologies for the not so great picture, I'm still trying to figure out the right settings on my new camera.